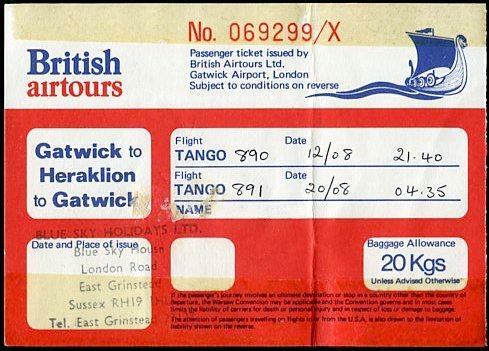 HISTORY: BRITISH AIRTOURS was a British charter airline with flight operations out of London Gatwick and Manchester Airport. Originally established as BEA Airtours in 1969, it became a wholly owned subsidiary of then state-owned British Airways (BA) following the British European Airways (BEA) - BOAC merger of the early 1970's. British Airtours adopted the Caledonian Airways name when the newly privatised British Airways completed the acquisition of the rival British Caledonian (BCal) in April 1988.